Acts 17:21 Now all the Athenians and the foreigners who lived there would spend their time in nothing except telling or hearing something new. Our culture loves new. Our economy thrives on us consuming the new gadget and product that is coming next. What was cool yesterday is obsolete today and what’s relevant today is being replaced by something new tomorrow. We are much like the Athenians who reveled in what was new but never actually embraced what was true. We can bring that same sort of consumer mentality into our relationship with God. We can delight in hearing and revelling in the new insight we’ve heard but never actually do something with it and outwork it in our everyday lives. Every fresh revelation requires a new dedication. It’s not enough to get a new revelation, if we’re not going to dedicate ourselves to its truthfulness in our lives. Are you being obedient to what God has already revealed to you? Some of us are more educated than we are obedient and we hear more than we are putting into action. Dedicate yourself to the revelations Gods showing you and the fruit of your life will speak for itself. Hearing the voice of God! Jesus always speaks the truth and he cannot lie because he is truth. If Jesus says, his sheep hear his voice, then this is exactly what will happen. On the other hand, the devil is a liar and tries desperately to convince us that God doesn’t want to speak to us and that hearing God’s voice is too hard cause he is so distant from us. Refuse to accept this lie. Believe that you can hear the voice of God. Hebrews 11:6 exhorts us to approach God with faith because without faith it’s impossible to please God. We must believe that he is a rewarder of those who diligently seek him. Everything in the kingdom of God is received by faith. God’s people will hear his voice, know his heart and follow his ways in the context of an intimate relationship with Him. We must give ourselves space to make mistakes along the journey of learning to hear the voice of God. I remember when my kids took their first step on the journey of learning to walk. I didn’t get angry at them because they only took 1 step and fell over again. I rejoiced and kept persevering with them, knowing they were going to walk very soon. We can be so hard on ourselves and yet God loves us and perseveres with us and rejoices that we are taking baby steps towards hearing his voice. It’s important to discern the source of the voice you are listening to. 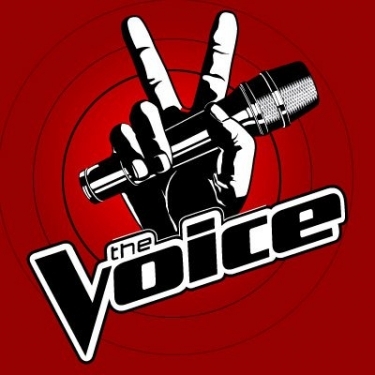 There can only be 3 options: 1) Voice of the Holy Spirit; 2) Voice of the Flesh; 3) Voice of Satan. Professional bankers detect the counterfeit bills by studying the authentic true bills, not the other way around. I know my wife’s voice very well because I’ve been in her presence for 18 years. Voice recognition increases the longer you spend time with someone. I worked with someone in the Police Force many moons ago who investigated a cop-killer for an entire 2 years, listening to phone taps and hearing his conversations during the day. He said that even though the investigation was years ago, if the cop-killer called up today and talked on the phone, the investigator would recognise his voice in an instant. That’s voice recognition. The best way to discern the truth is to spend time with the truth. You shall know the truth and the truth will set you free. Discernment is sharpened by knowing the truth. Test the Word. After you walk with God for a while, he gives you a witness of his spirit in your heart that is like a knowing in your spirit what the right thing to do is. However, it’s important you test the word. The bible doesn’t say, ‘put the word on the shelf’. It says test the word, otherwise you become defiled by it, if it isn’t from God. Is the word in alignment with the general revelation of Scripture or does it contradict it? Is there a witness of peace about the word and have you sought counsel with some trusted and spiritually mature leaders? Does the light of Christ brighten in your heart as you consider outworking of the word in your life or do you feel oppression and darkness? Important questions to consider. The presence of God is worth committing to. No other pursuit in life compares to walking with God. Get a place or room where you can spend time with God. Train yourself to walk with God. Invest into your relationship with him. God doesn’t want you to perform for him through legalistic spiritual duties but he does want a deeper relationship with you and for you to have one, you will have to invest into it. Start today by opening up your heart to God, reading his word and being still in his presence. Have you ever thought about how much of the bible is made up of prophecy? Approximately 50% of Scripture is prophetic literature. A lot of OT prophecy is contained within the Gospels themselves, with Jesus quoting the prophet Isaiah, more than any other OT prophet. 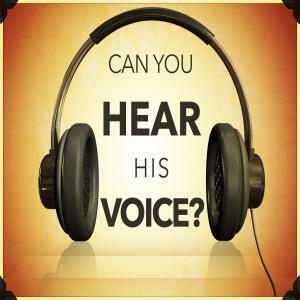 For believers who are planted in a local church and hearing God’s Word regularly preached, are we really hearing God’s voice and obeying it or are we so distracted by our own stuff that we, like Israel, miss His voice? There is ‘The Voice’ in the prophets which may be missed, a meaning not apprehended. The ‘voices of the prophets’ in Acts 13 implies something just beyond mere words but the very voice of God. It’s the ‘VOICE’ of the prophets we need to hear. Big things hang upon hearing God’s voice above all the other voices. Failure to hear may lead to irreparable loss, such as it did for the Jews when Paul announced in Acts 13:46 that he was turning to the Gentiles, due to the hardness of heart in Israel. The Gentiles response in Acts in V48 to Paul’s announcement is indicative of that fact that it is a great thing to hear and obey God’s voice. I personally believe that the most important word in the bible isn’t love, faith or grace but ‘HEAR’. Everything in the kingdom is predicated upon how and what you HEAR. The Parable of the Sower emphasises the central importance of HEARING God’s Word. Are you hearing his voice or are you present bodily but absent spiritually when the prophets are being proclaimed from the pulpit? I pray that God would give us an ear to hear what the Spirit is saying to the Church in this generation.